August 31, 2010 “Be you!” Riiiiight. GirlsHealth has a perky “Be healthy. Be happy. Be You. Be Beautiful” site. 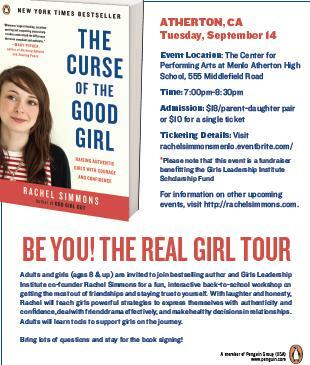 …AND in two weeks, Curse of the Good Girl author Rachel Simmons is coming to the Bay Area with “Be You! 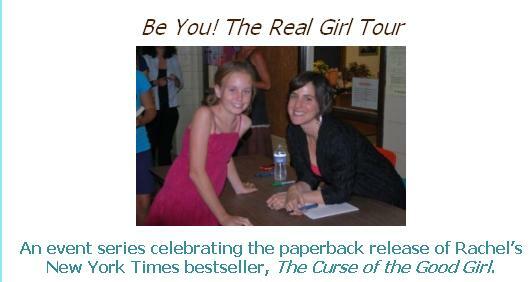 The Real Girl Tour.” (here’s my prior interview with Rachel when Curse of the Good Girl launched. Sounds like a heckuvalotta girlpower eh? It’s VERY telling that these powerhouse colleagues and orgs I adore are all hellbent on ramping up girls’ sense of self to replace what media messaging has whittled away… Having witnessed the damage to girls’ socioemotional landscapes on an ongoing basis, I’m in the camp of “we can use all the help we can get.” Bring it. With rampant sexualization and objectification of girls as commodity products along with appearance-based cues of never being “enough” it’s obvious to me how girls self-worth has slid sideways in a moshpit of media messages. So when I hear “Be You!” it tends to land on me as a cross between idealistic “rah-rah” feel-good rhetoric and a slapdash attempt to command compliance from teens swimming in a cesspool of peer pressured angst. 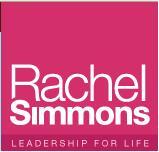 BUT…this is Rachel Simmons, and I’ve attended her speaking engagements and am a huge fan of her work. I know she delivers the goods to help those of us who either have girls or ARE girls…so I’m there. If anyone can uplift and breakthrough the lather/rinse/repeat drama cycles awash in households like mine, to add nuance, perspective, and SUGGESTIONS for how to dial down the confusion and bridge communication toward wellness and healthy worldviews for adolescent girls, Rachel can. The girls interact with “hands-on how tos” grounded in cognitive psychology while the Curse of the Good Girl book itself holds the print version of same with guiding exercises and constructive grids to reframe dialog so that it’s more productive for all parties. She’s also got a great section on her site called Girl Tips offering weekly, short, bite-sized advice…and a new video clips section to dial down the digital drama and friendship fiascos called BFF2.0. She’s coming to my neck of the woods just in time, as I sometimes feel like I’m smack dab in the middle of some overblown reality show unable to comprehend the antics I see working with kids at various ages and stages, which also includes my role as both a mentor and a mom. Much like my last post about wildly swinging pendulums of over-correction versus calm, measured reason I just don’t ‘get’ drama queen antics a lot of the time because “I don’t DO drama.” I don’t have much tolerance for it because my personality doesn’t ‘go there’ and I find it confusing and hard to relate to. 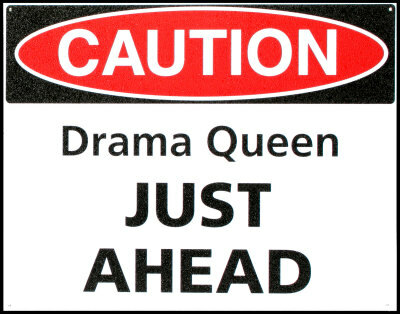 That said, as a ‘recovering Good Girl’ when I see anger from young girls directed willy-nilly I TRY to view it as healthy expression…BUT when I hear shrieking theatrics and over-the-top door-slamming it seems more like media induced parroting of obnoxious behavioral toxicity. Fine line. Much like the post I wrote about role modeling resiliency and kids’ coping skills (or lack thereof) it seems there’s a strong need to really TEACH how to handle confrontation and conflict without the drama-rama personalized angst painted on to the canvas. Rachel quotes psychologist Aaron Beck about these mental triggers, referred to as “automatic thoughts” that occur on a barely conscious level but which can” set off chain reactions of intense feelings, thoughts and actions.” I’ll say. I have a whole report on that chapter alone which I’ll save for later…as I’d forgotten how spot on her insights are in capturing the ‘girl dynamic’ perceiving teachers and coaches as the equivalents of a ‘first boss,’ often ending up on the receiving end of emotional accusations, “S/he hates me,” using distorted thinking to take a valid criticism into a perceived attack, etc. For now, I’ll hush and post the “Be You! Real Girl Tour” dates coming up for the Bay Area with a double-thumbs up recommend and a “tweet me @ShapingYouth to say hello if you’re there.” And for those who haven’t read Curse of the Good Girl yet, it’s out in paperback as of today. Adults and girls (ages 8 & up) are invited to join bestselling author and Girls Leadership Institute co-founder Rachel Simmons for a fun, interactive back-to-school workshop on getting the most out of friendships and staying true to yourself. With laughter and honesty, Rachel will teach girls powerful strategies to express themselves with authenticity and confidence, deal with friend drama effectively, and make healthy decisions in relationships. Adults will learn tools to support girls on the journey. Bring lots of questions and stay for the book signing! Join Amy Jussel of Shaping Youth, & bring tweens/teens to say hello! Tickets on sale in August from Barnes & Noble – Preston & Park, by phone (972) 612-4028, via e-mail here, or in store at 2201 Preston Road, Suite E, Plano Texas. Tickets on sale in August from Blue Willow Bookshop, by phone at (281) 497-8675 or for more information visit Blue Willow Bookshop. Gosh!!! I wish I could attend with my daughter, but there’s school and distance getting in the way. Thanks for keeping us up to date with all these girl-empowering events and write ups.